We are all getting older and better by the day. But nothing seems to push the fact more than finding out how long it has been since some of the books, movies, music, and games you’ve loved first came out. For example, when I read that Alf would be well into his 40s by this point, I felt ancient. As I’m sure that finding out Prince’s famous hit “Purple Rain” turns 35 this year probably leaves a mark for anyone who remembers going to see it in theaters and buying the CD. 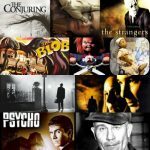 So let us all embrace the aging process by looking back at some classics that will turn 30 in 2019. Come on, 1989 wasn’t that long ago! Can you believe it’s been thirty years since you first got “Kiss The Girl” stuck in your head? The Disney classic, which saved the company from a series of flops and brought it back to relevance, first hit theaters on November 17th, 1989. For those who don’t know, it follows Ariel, a young beautiful mermaid princess who desperately wants to be a real girl and has the voice of an underwater angel. 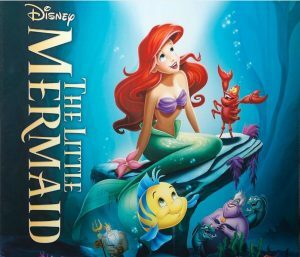 The Little Mermaid won 2 Oscars and made more than 200 million dollars at the box office worldwide. 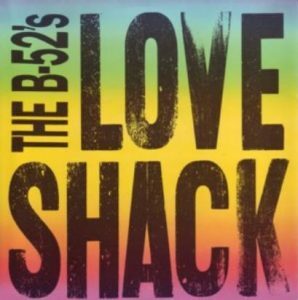 Still a favorite on the radio today, Love Shack was first released as a single by The B-52’s on June 20th, 1989. The happy, famous anthem was featured on the band’s album Cosmic Thing, which also came out in 1989. The song spent 27 weeks on the charts and peaked at number 3. Love Shack played a big part in introducing the world to RuPaul, who appeared in the music video before becoming famous. As you will see in this list, 1989 was a pivotal year for new TV comedies. 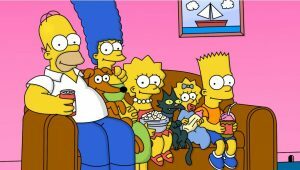 On December 17th, 1989, Fox debuted a brand new animated series called The Simpsons. Nobody could have predicted how popular the show would become or how long the show would last, as it is still airing today. The animation in the 1st episode that aired was quite rough compared to how it looks after 600 episodes and 30 seasons have aired. But the crude family humor that has made the show a cult classic was already there. 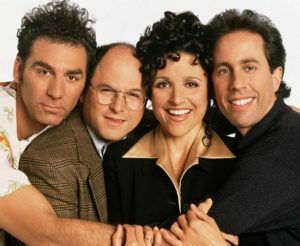 Like The Simpsons, NBC’s Seinfeld started with humble beginnings in 1989 before becoming one of TV’s all-time cult classic shows. The sitcom, created by and starring comedian Jerry Seinfeld, debuted as a summer special called The Seinfeld Chronicles on July 5, 1989. The first season, which was comprised of five episodes, doesn’t even include Elaine, making it a strange watch today. Luckily for us, NBC was smart enough to pick it up for more episodes under its new name, and it went on to show for nine seasons, ending in 1998. When you think of the 1980s, American Gladiators has to be one of the first things that come to mind. 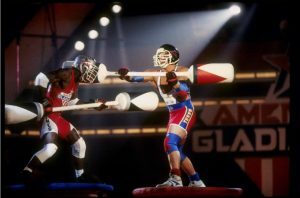 In this cult-classic competition, show contestants endure a series of crazy hard athletic events, going head to head with the show’s strong cast of gladiators, who had rad names like Zap, Nitro, and Malibu. The show ran until 1996 and had been rebooted multiple times. 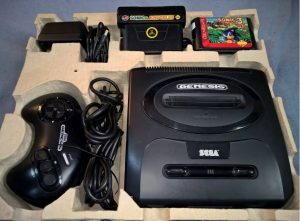 Despite making its big debut in Japan in 1988, the Sega Genesis didn’t appear in the United States until August of1989. The classic video game system went on to become an icon, selling millions of units and continued to be popular with gamers until the late 1990s. Its sales went through the roof because of the Sonic the Hedgehog series and its aggressive marketing campaign that included the slogan Genesis does what Nintendon’t. Unfortunately for Sega, the company would never again match the popularity of the Genesis with any of its later systems. 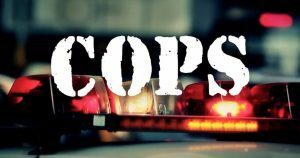 One of the major pioneers of the reality tv craze, Fox’s groundbreaking TV show Cops first aired on March 11, 1989. That’s 30 years of Bad Boys, crazy foot chases and drug dealers trying to say that the drugs belong to someone else. The series, which showed real police officers doing their daily jobs, aired on Fox for a mind-blowing 25 seasons, before switching networks in 2013. It is still airing today, making it one of the longest-running shows ever. In February of1989, Canadian comic Mike Myers joined the hilariously funny cast of Saturday Night Live, bringing with him what would soon become one of the show’s most famous sketches ever. 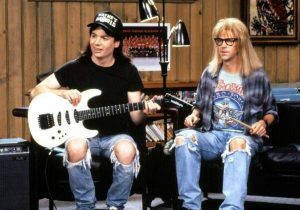 The late-night show aired a skit called Wayne’s World, which saw Myers and Carvey playing two metal music loving buddies, Wayne and Garth, who host a local television talk show from Wayne’s groovy basement. The sketch debuted on February 18th, 1989, and would be featured on the show more than 20 times over the next thirty years. It also influenced two popular movies, with 1992’s Wayne’s World becoming the highest-grossing movie ever based on something from SNL. Chandler and Joey’s favorite series of all time started its unlikely run 30 years ago. The series, about gorgeous lifeguards patrolling the beaches of Los Angeles, debuted on NBC on September 22, 1989. After dismal ratings, NBC canceled the show after a single season, but its creators revived it to air in syndication, where it ran for 11 seasons and more than 200 episodes. The show made stars out of Yasmine Bleeth, Pamela Anderson, and David Charvet and continued the fame of David Hasselhoff, who produced the series and starred in 10 seasons of Baywatch. We hope you’ve enjoyed our list and please feel free to add any we’ve forgotten. We hope to hear from you in the comment section.